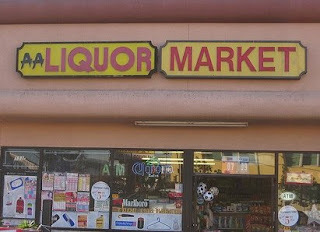 Here's a sign from part of a liquor store chain in California. I think this one is in Los Angeles. Remember, the wonderful world of liquor is just 12 steps away!